Combine the fruit juices in a pitcher, if serving straight away, add the mint leaves, crushing them. Stir in the honest until dissolved. Add sparkling water, tasting as you go, to make sure it isn’t too diluted. 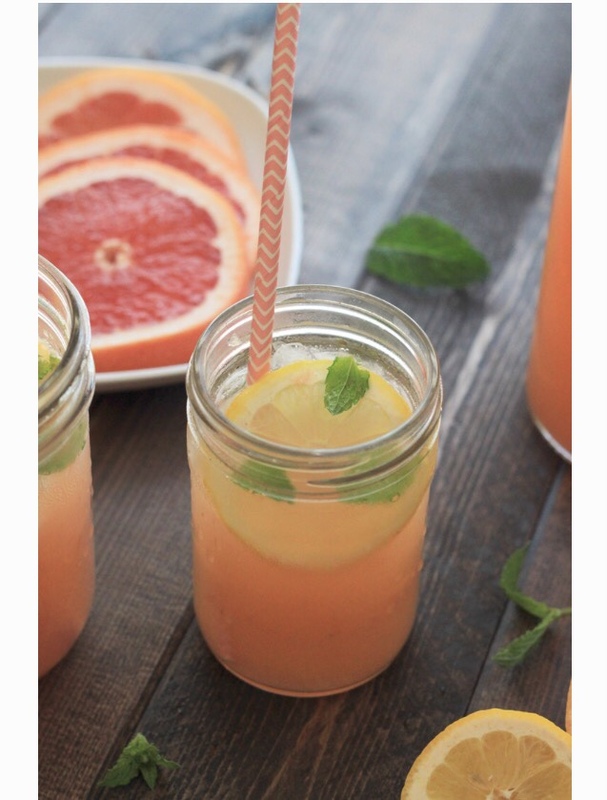 To take on a picnic, add ice cubes and slices of grapefruit and lemons to the pitcher before leaving. Serve over ice and sliced fruit.